AIRAH represents the entire breadth of the HVAC&R industry, from “the man in the van” to research‐focused academics; from plumbers and fridgies to designers of the nation’s most high‐performing buildings; from sole operators to the chief executives of large corporations. David Brown, M.AIRAH, is the commercial property manager for Global Intertrade, a private Spanish‑owned company. Shannon Baldock, Affil.AIRAH, is refrigeration lecturer at TAFE SA. Expatriate Italian Massimo Fiorentini, Affil.AIRAH, is part of the passionate staff at the University of Wollongong’s Sustainable Buildings Research Centre. He is the reigning winner of AIRAH’s Future Leader award 2018. Based in Sydney, Gordon Lacey, Affil.AIRAH, is the general manager of DST Dryer. Lacey is speaking at Refrigeration 2019 later this month. A love of engineering and an approach based firmly on logic and understanding has helped Phillip Carruthers, F.AIRAH, build a career in HVAC&R that now spans around 50 years. Sydney-based Taylor Balk, Affil.AIRAH, is a product manager in CSR’s Bradford division. Based in Gurgaon, India, Barry Wormald, F.AIRAH, is the Principal at Think BiM Technical Services. Based in Sydney, Cillian Casey, M.AIRAH, is a senior consultant for Australian building systems experts IBMS. James de Salis, Affil.AIRAH, is a mechanical engineer at Laros Technologies, a high-performance building supply company in Canberra. Anthony Kwong, M.AIRAH, is a principal consultant at Frazer-Nash Consultancy. Nick Duncan, M.AIRAH, is CEO of HydroChem, based in Melbourne. Based in Brisbane, Denver Treacy, Affil.AIRAH, is a BMS sales estimator for Schneider Electric Buildings. Graham Boyle, F.AIRAH, is portfolio manager for Heavy Auto and Refrigeration at South Metropolitan TAFE in Perth. Paul Burrows, Affil.AIRAH, is HVAC segment manager, Drives, at ABB in Melbourne. Camilla O’Leary, M.AIRAH, is regional account manager for Vertiv, based in Melbourne. Sydney-based Elizabeth Paparo, Affil.AIRAH, is content marketing specialist at Heatcraft Australia. Jason Harrison, M.AIRAH, is state manager – NSW for Airmaster, and the winner of the 2018 ARBS Young Achiever Award. NDY’s Nicki Parker, M.AIRAH, is speaking at AIRAH’s Resilience Forum in 2018. Simon Bradwell, M.AIRAH, is managing director of ebm-papst for Australia and New Zealand. Chris Cale, M.AIRAH, is the service manager for Rider Levett Bucknall, based in Adelaide. AIRAH member James Motteram, Affil.AIRAH, works on the spectacular Limestone Coast in South Australia. Nicki Parker, M.AIRAH, Brisbane Sustainability Manager, Norman, Disney & Young, will be presenting at the ARBS Speaker Series. Nick Adams, M.AIRAH, leads the mechanical services team at Arup’s Melbourne office, and until this year was state president of AIRAH’s Victoria division committee. Tim Caunt, Affil.AIRAH, is Service Manager at Equilibrium Air Conditioning. Alan Fok, M.AIRAH, is senior sustainability consultant at WSP | Parsons Brinckerhoff and a busy AIRAH member. Rachael Mulvogue, Affil.AIRAH, works in internal sales at Airepure Australia’s HQ in south-east Melbourne. Brisbane-based William Drake, M.AIRAH, is the Technical Director of Asia-Pacific Buildings & Infrastructure at Jacobs. Shaun Toh, M.AIRAH, is sales and project engineer at Optimal Group in Melbourne. Murray Mason, L.AIRAH, explains how his load-estimation software came to earn its curious name, and the possibility of transitioning his business. Anna Misztak, M.AIRAH, is estimator/contract manager for Grotec Mechanical Services, based in Melbourne. Federico Tartarini, Stud.AIRAH, is a PhD candidate and associate research fellow at the University of Wollongong. David Drinkwater, Affil.AIRAH, is HVAC&R manager at Papua New Guinea-based wholesaler and distributor Brian Bell & Co.
Sydney-based Bruno Kerber, M.AIRAH, is a project engineer at Thermo King Rail Australia. Based in Perth, Jessica Crooks, Stud.AIRAH, works for IACS, providing technical service support for Acson and MDV unitary. The ANU’s Xiaolin Wang, Stud.AIRAH, is the reigning winner of the AIRAH Research Student of the Year 2017. Joe Scholtz, M.AIRAH, is a director at QED Environmental Services, based in Perth. In a previous life Grant Holman, M.AIRAH, won a grand final with Aussie rules club East Perth in the WAFL. These days he’s a director with Wood & Grieve Engineers (WGE) and manager of the firm’s Melbourne office. Atelier Ten’s Melbourne leader, David Ritter, M.AIRAH, aims to design buildings that work beautifully. Paul Stoller, M.AIRAH, has taken an interesting and somewhat circuitous route to engineering. Megan Coetzer, Affil.AIRAH, is product implementation manager for BluOne, a member of The Women of AIRAH, and a dodgeball enthusiast. Victoria Totten, M.AIRAH, is a project engineer for PJM Engineering Services, based in the firm’s Melbourne office. She’s also a member of the newly formed Women in AIRAH group. Jessica Holz, M.AIRAH, is a former AIRAH Future Leader, and a senior ESD and mechanical engineer with Aurecon in Brisbane. Chilean-born Carlos Flores, M.AIRAH, is national program manager at NABERS, responsible for all aspects of the program's delivery. Carlos also answered a Q&A with Ecolibrium in March 2017, which is available to read here. Grace Foo, M.AIRAH, is an energy consultant for Energy Action based in Canberra. 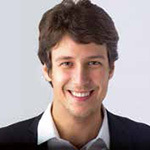 Leon Wurfel, Affil.AIRAH, is the managing director of BUENO. Andrew Pettifer, M.AIRAH, is an Arup principal, and leader of the Australasian building services engineering team, based in Sydney. Sonia Holzheimer, M.AIRAH, is a senior mechanical engineer with GHD, based in Cairns. From HVAC on the high seas to directing an engineering firm, Neil Caswell, M.AIRAH, has seen it all. Cate McGuire, Affil.AIRAH,is CEO of Oomiak, an industrial refrigeration specialist headquartered in Adelaide. Melbourne-based Stuart Fowler, M.AIRAH, is the CEO of Norman Disney & Young. Steve Smith, M.AIRAH, is head teacher of refrigeration and air conditioning at Nepean TAFE’s Kingswood Campus in New South Wales. Alex Baidjurak, Affil.AIRAH, is the reigning winner of the AIRAH Future Leader Award. At the GPT Group, Bruce Precious, M.AIRAH, is involved in some of the best-known buildings on the eastern seaboard.